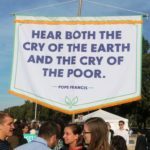 Prominent experts discuss the burning issues of climate change & inequality, raised by Pope Francis’ Laudato Si’. Friday 8 March 5.30pm to Sunday 10 March 2019 2pm. St Clement’s Retreat Centre, Galong, NSW, 100km from Canberra. Anglican Bishop Philip Huggins, President of the National Council of Churches Australia, will join leading ecologists, scientists, economists, and theologians, to look at practical ways to implement the recommendations of Laudato Si’ in Australia. On Sunday 10 March, David Marsh, winner of the Australian Government Individual Landcarer Award 2017, will host a visit to his Boorowa farm. Dianne Torrens, Chair Uniting Aboriginal & Islander Christian Congress. Dr Ross Garnaut AC, prominent Australian Economist. Professor Anthony Kelly CssR, member of the International Theological Commission (2004-14). Jacqui Remond, co-founder of the Global Catholic Climate Movement. Professor John Williams, ANU Adjunct Professor in Public Policy & Environmental Management. Professor Quentin Grafton, Director of the ANU Centre for Water Economics, Environment, & Policy. Dr Jason John, Uniting Earth Ministry. David Marsh, Master of Sustainable Agriculture, and Farmer in Boorowa. For more info or to register: Phone: (02) 6380 5222; or email: info@stclement.com.au. Web: http://www.stclement.com.au.